This is part two of the Eyewitness News investigative series "Shattered Lives." Watch part one here. NEW ORLEANS -- Charles Carter Jr. was a rambunctious child. Growing up in eastern New Orleans, he was a constant blur of motion, a trait that served him well on the neighborhood playgrounds. But Charles, the middle child, isn't around anymore. Anfernee, older by two years, chokes up with emotion talking about what he misses most. But Charles is not dead. He's inmate No. 708925 at the Louisiana State Penitentiary at Angola, where he is serving a life sentence plus 362 years. 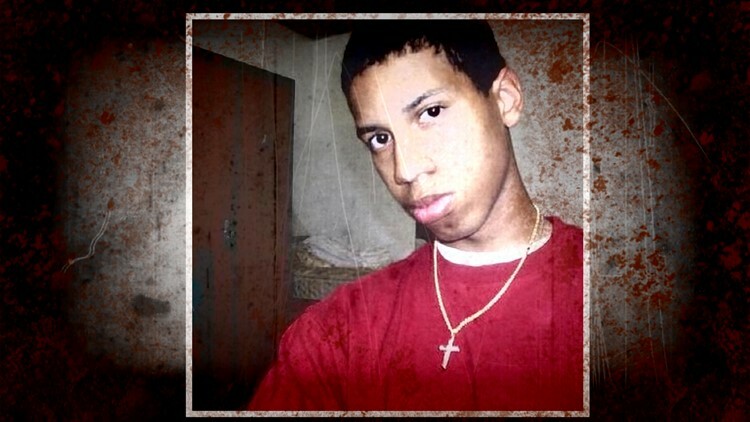 The sentence is one of the longest ever given to a juvenile offender in Louisiana. Just three months after Carter turned 16, he was arrested. Police pegged him as a member of the Marley Gang, a group linked to small-time property crimes until a brazen and violent crime spree in October 2012. “You didn't see that chain going into the violent crime end. But once you did, it was abrupt,” said Capt. Ronnie Stevens, the former commander of detectives in the 7th Police District, which covers eastern New Orleans. 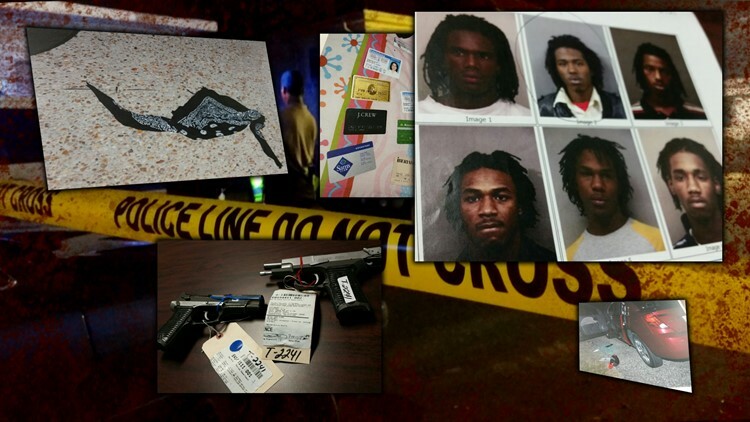 Stevens was tracking the Marley Gang when a series of gunpoint robberies on a single night – Oct. 2, 2012 – ended in an Uptown home invasion. Attorney Sandy Kaynor was shot in his Garden District driveway, attacked by random chance as he was going to his car to retrieve something. Kaynor was instantly paralyzed, then a week later, a brain hemorrhage left him severely brain-damaged. He lingered for five-and-half years in a semi-vegetative state – unable to move or talk – until he finally passed away on April 19. 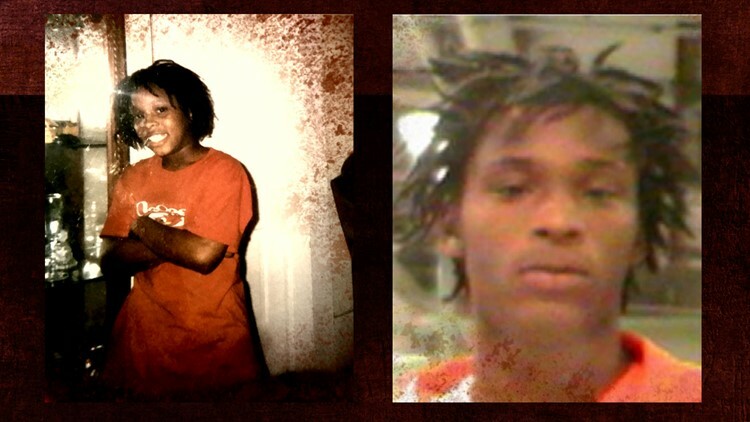 “A victim ends up paralyzed, unable to speak, losing parts of his body,” said Orleans Parish District Attorney Leon Cannizzaro, whose office prosecuted Carter and two co-defendants. After the night of terror, detectives from all over the city zeroed in on three young suspects: Byron “Poodie Man” Johnson, 20, Devante “Tae Banger” Billy, 18, and Charles “Mob Chuck” Carter Jr., 16. “It wasn't just Seventh District detectives. It was multiple districts, investigative units, working together,” Stevens said. Piece by painstaking piece, detectives started finding valuable evidence and linking it together. Papers from Kaynor's car found were near Carter's home. A purse stolen in one of the robberies was found tossed in a random tree. Witnesses made tentative IDs from photo lineups. The biggest early break in the case came when detectives rolled up on a house on Gervais Street where Johnson lived in one half of a shotgun double. Johnson wasn’t there, but Billy and Carter were standing outside with three other teen-agers, according to police reports. One of the youngsters agreed to talk to detectives. He told them that he saw Johnson with an iPhone that he knew didn’t belong to him. When detectives used software tracking to locate the phone, it showed up inside Johnson’s house. That was enough for officers to obtain a search warrant. The detectives found stolen credit cards and driver’s licenses inside the house, enough probable cause to arrest Johnson. With Johnson in custody, detectives worked around the clock to get enough evidence to arrest Billy and Carter. They recovered fingerprints and DNA, including critical samples on a bandana that was found next to Kaynor. Now all police had to do was match the samples to their suspects. “They came to the house with a search warrant to swab Charles,” Charles Carter Sr. remembered. Three days after taking DNA samples from Carter and Billy, detectives got results: the bandana contained genetic material that matched the two suspects. But before police could get arrest warrants, Stevens hears an ominous call over the police radio. “I remember getting that call and the first thing out of my mind was that it was this group,” Stevens said. A block from Carter's home, Navy veteran and UNO student Valan May was shot at point-blank range in the head inside his car during a robbery. May had been invited to give two young women a ride, according to the women, who later testified in court. Billy and Carter robbed him as he sat in his car. When May could only produce $25, Billy shot May in the head, allegedly on orders from Carter, who had turned 16 three months earlier. Carter, whose only prior was a juvenile arrest for fighting, was booked with first-degree-murder. Charles Carter Sr. was at home when the detectives came early in the morning to arrest his son. “They were telling me something about somebody else. I mean, we couldn't be talking about Charles. I'm like, Marley Gang, what is that? I never heard of it,” Carter said. Three years later, Johnson pled guilty in the Kaynor case, agreeing to 45 years in prison. Billy also pleaded guilty and was sentenced to 60 years. Deals were discussed with Carter, but he wouldn't bite. Carter decided to take his chances at trial. One of the 12 jurors says she remains haunted by what she saw and heard. By the end of the trial, Shelly's heart ached for shattered families on both sides of the courtroom. Deliberations did not last long before the jury convicted Carter on all but one count of aggravated burglary. The panel remained undecided on whether Carter entered the Kaynor home. At Carter's sentencing several months later, Judge Laurie White did not mince her words. Most juveniles who get life can apply for parole after 35 years, but Carter's additional 362 years eliminates that possibility. “How could they give him that kind of time?” asked his grandmother, Gail Paige. “God don't give us that kind of time. The family has hired an attorney to file an appeal. In addition to claiming his innocence, the family believes he should have remained in the juvenile court system. Being tried as an adult, they say, led to an unfair verdict and unreasonable sentence. Despite Carter's age, lead prosecutor Jason Napoli has no misgivings. The 17 days between Kaynor being gunned down and the execution of Valan May still leaves him shaking his head. “OK, it's 17 days where you're realizing I committed this horrible crime, you're seeing the impact you've placed on this family, that you've placed on this city, and to have to gall to go out and shoot a young Navy veteran,” Napoli said. “He should have got more."